Twin Creeks RA Red Hot Pepper, Harvey Considine HES 88.7 VG, brought immediate improvement to our herd. 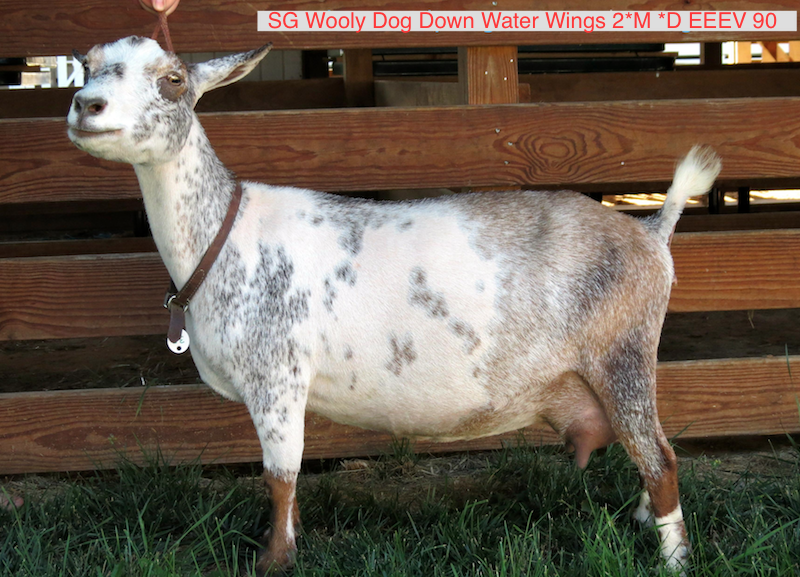 Bred to three distinctly different does, he consistently improved on rears and udders, adding better attachment and a fabulously wide escutcheon. 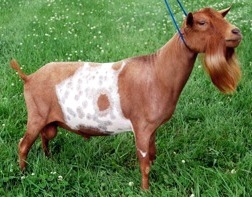 "Pepper" was bred by Kellye Bussey, owner of the TX Twin Creeks herd, and left his mark on both the Rosasharn and Doe-sy-Doe herds before coming to us. 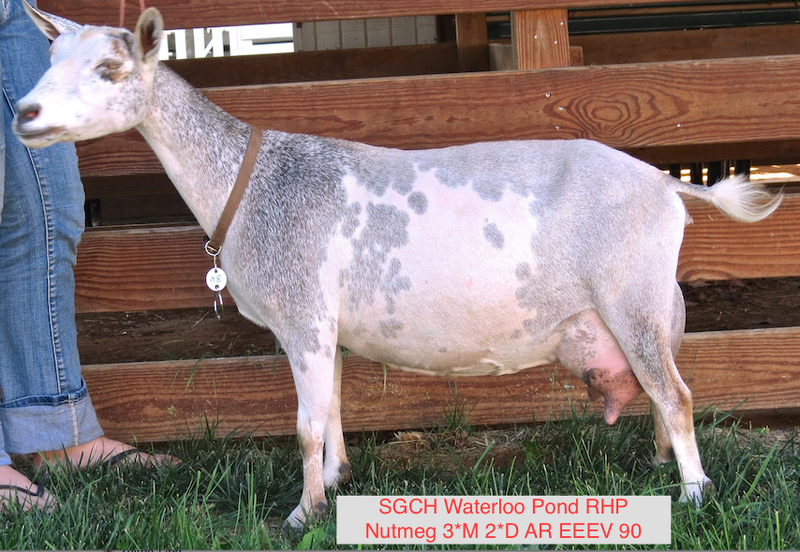 At TEN years of age, Pepper's grand dam, MCH/CH Goodwood Good Day Sunshine EEEV FS90/91.4 Excellent, was the 2006 AGS National Champion Senior Doe! We lost Pepper much too soon as the result of an unfortunate case of bloat; but his mark on our herd continues to be seen in the offspring of his daughters. 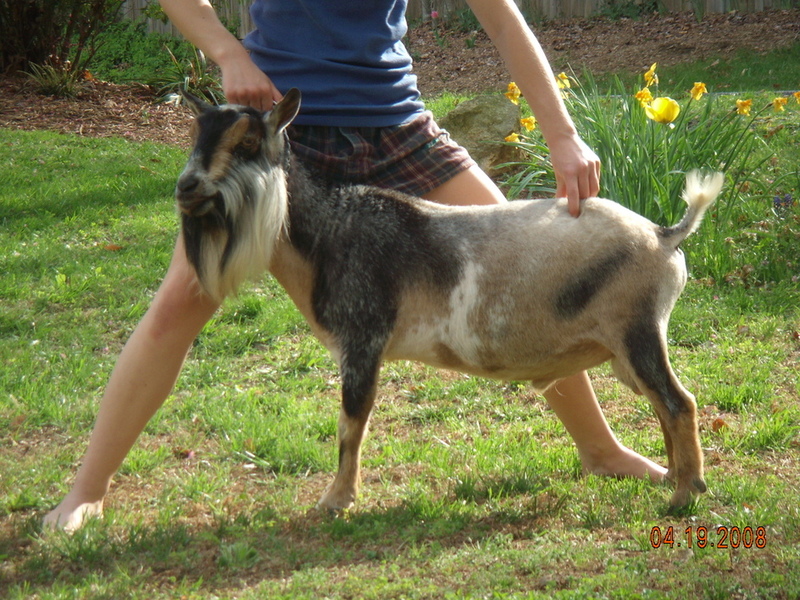 bred to ​Pocket Sized VF Zolton *S V+V 85. 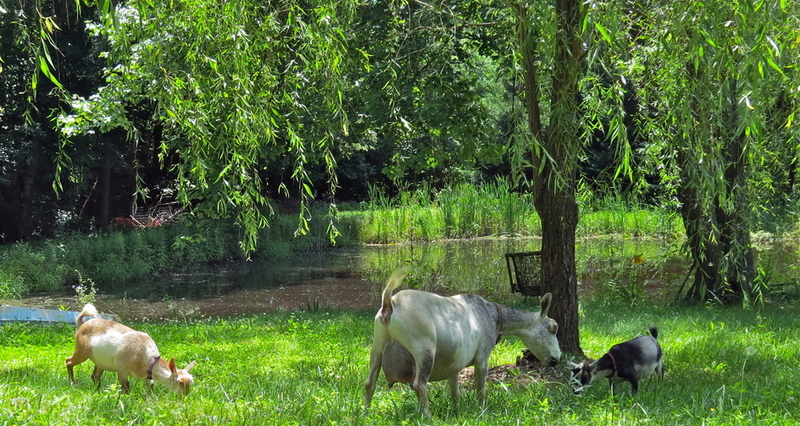 ​His first grandkids, a surprise set of beautiful QUADS from Ginger, were born 3-12-13. We were excited about bringing this new boy into our herd. Zues' pedigree is chock full of exciting genetics from some of the best and oldest lines in the country. 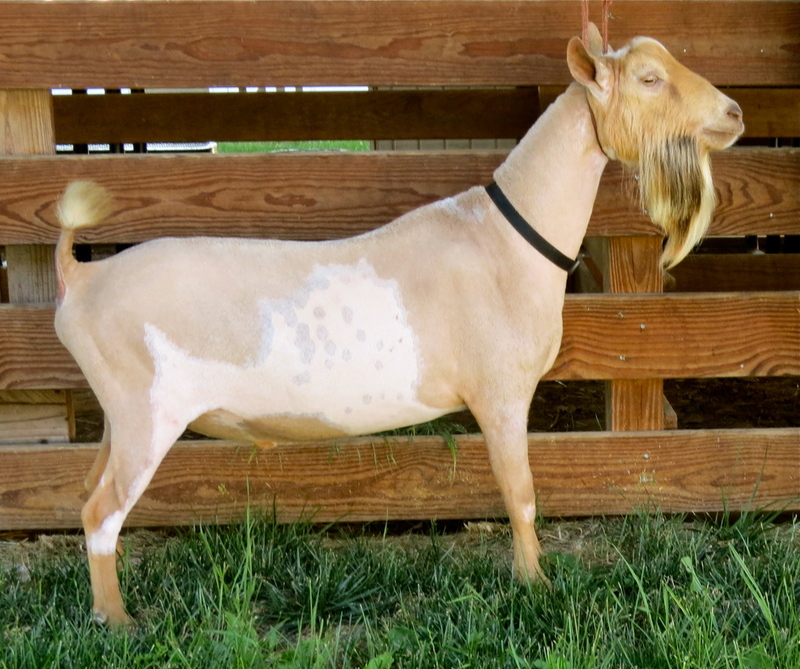 We felt he would be a good replacement for our first buck, Twin Creeks RA Red Hot Pepper.​​ Sadly, we lost him far, far too soon to a severe stricture in his rum​en. 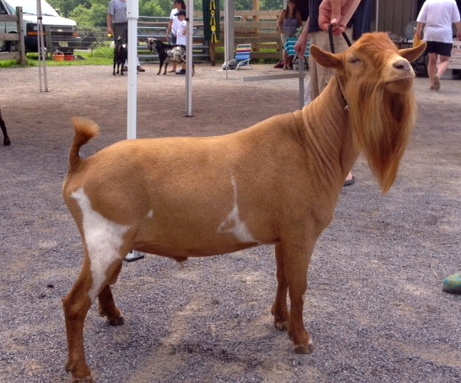 We are blessed to have added his twin, Zolton, to the herd this fall and used him heavily in our breeding schedule. We were THRILLED to have the privilege of adding Zolton to our herd. 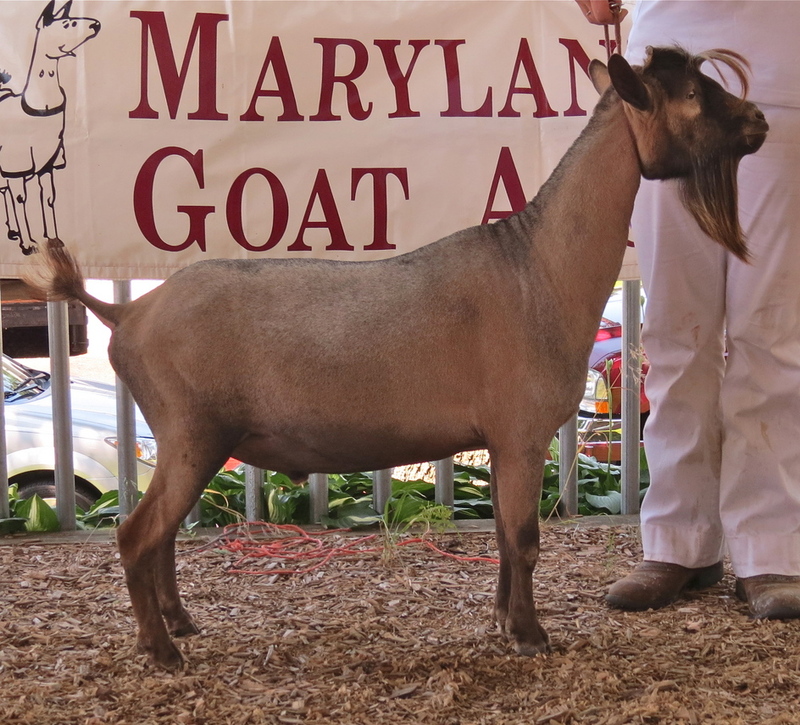 He brings back some stellar genetics that we thought were lost to us when his twin brother, MCH Pocket Sized VF Zues *S, died of an inexplicable stricture. 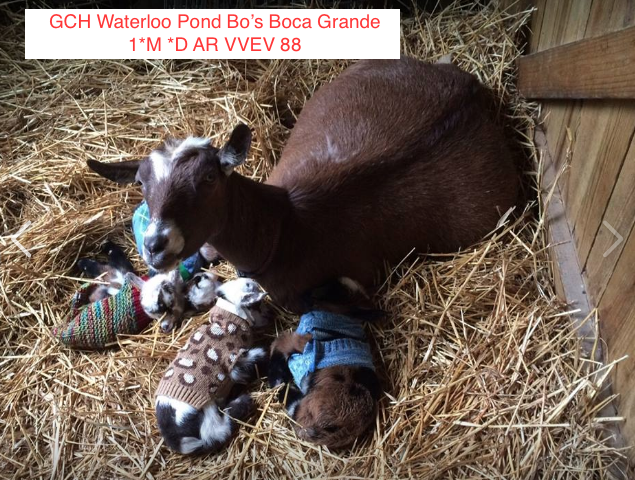 We are extremely grateful to Teri Stanton of Pocket Sized Goats for extending this opportunity to us. We looked far and wide for a new herdsire and are SO pleased to have found Cruiser! Having personally seen his sire, grand dam, dam, and maternal & paternal half-siblings, ​ we LOVE the continuity behind him. and he has done so in a most LegenDAIRY way. CLICK here to see Cruiser's extended pedigree. 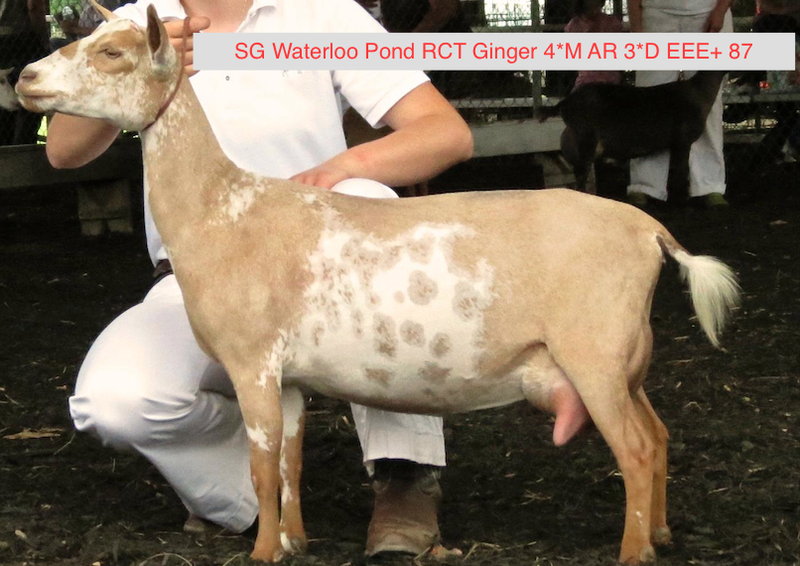 purposed to breed her own champion before graduating from high school and, in fact, finished not one doe but TWO. 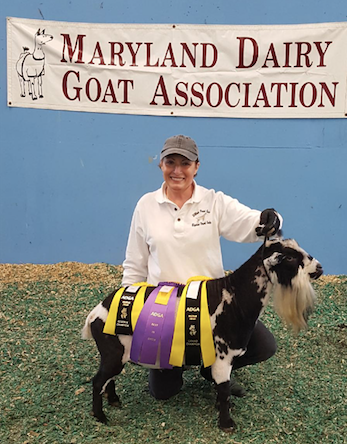 Every goat we have bred can be traced back to one of two half-sisters, SG Wooly Dog Down Water Wings and Pemberley Acres Pim's Polly, as well as a single herdsire, Ponders End DG Pimlico. Here you will find the best of our homebred does -some retired, some sold, some deceased- and the herdsires, both purchased and homebred, that contributed their genetics for STRONG conformation and PROVEN production to develop the Simply LegenDAIRY herd we have today.